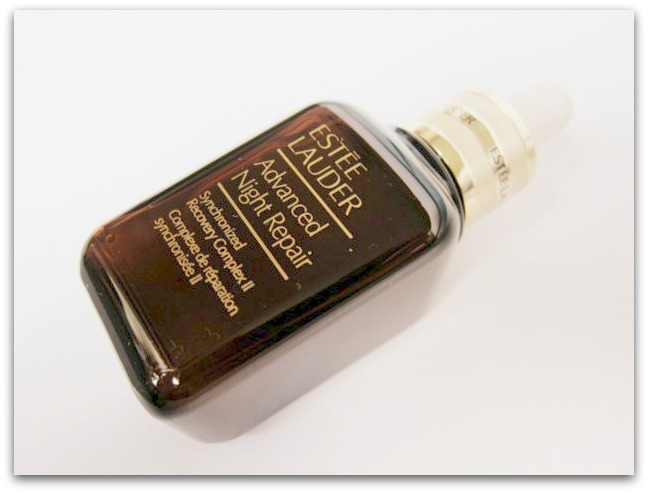 Estee Lauder's little brown bottle has been a favourite of mine for years - I revert back to it when I'm not trialling something new - and I really rate it for its gentle, skin-improving ways. Clearly lots of other women also feel the same: 10 bottles of Advanced Night Repair sell every minute, worldwide. So you have to applaud the brand for ignoring the 'if it ain't broke' school of thought, and updating one of their most-loved products. On the back of new research and modern advances in technology and ingredients, the formula has been boosted so it works harder than ever to support the nightly renewal of the skin. So what does all this mean for your face? A reduction in lines and wrinkles, stronger, more hydrated skin and a smoother, even-toned complexion, apparently, which all sounds hella-good to me. If you want a really solid, all-round anti-ageing serum in your beauty arsenal, this is bang on the money. Oil and fragrance free, it works for all skintypes, ages and ethnicities and you'll find the new and improved version on counters now. It's €54 for 30mls or €80 for 50mls. It'll be joined this month by the brand's autumn collection, The Metallics, with an array of high-shine, reflective offerings for eyes, lips and nails. They're pretty damn gorgeous actually, and there's enough variety of finish - from soft and subtle to full on bling - to have something for everyone. In my book, with their gilded caps and heavy, square glass bottles, Estee Lauder's nail colours are some of the most pleasingly attractive around and these limited edition lovelies are absolute stunners. Shades include this one, Rose Gold, along with Midnight Metal, Chocolate Foil, Smoked Chrome, Steel Orchid, Brushed Gold, Chrome Violet, Metallic Green; all are €20.00. Two lipstick formulas are on offer - a rich and creamy liquid lipstick, Pure Colour High Intensity Lip Lacquer (€26; 12 shades) and six new limited edition bullets of Pure Colour Vivid Shine (€25). Shot through with gold and silver pearl, these won't be for everyone but this shade, Coral Halo, is definitely coming away with me on holiday - it will look amazing with a tan. Rounding out the collection are nine snazzy new eyeshadow palettes (€34), each with base, contour, and highlight shade. What do you reckon? Anything catching your eye? The nail polish and lipstick colors are simply gorgeous! 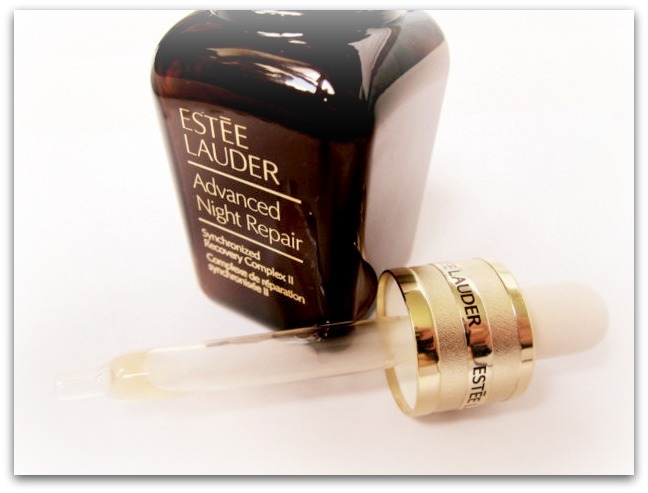 I never used this serum but have always been so curious about it, must pick it up now it's been overhauled! ANR is a total classic, I love it too - was a bit scared to hear they had changed it but sounds like it's better than ever! That lip colour is gorgeous on you! Estée Lauder is one of my favourite brands, they've got something in every product range that I love. I can't wait to get my hands on the metallic collection! I swear by ANR too Emma, love the eye version aswell, I have yet to try the new and improved (hopefully) formula but I trust that Estée Lauder know what they're doing. 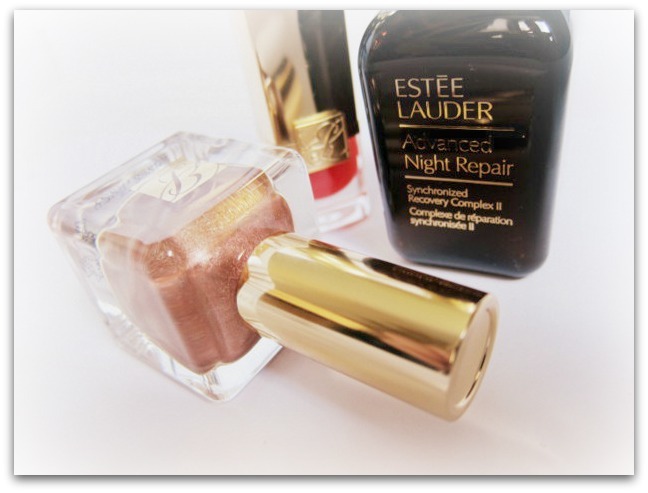 As for the Metallic collection, nothing excites me in the beauty world more than new Estée Lauder products. I agree the packaging of their nail lacquers is second to none, this colour is fantastic, it looks like the perfecr rose gold polish. 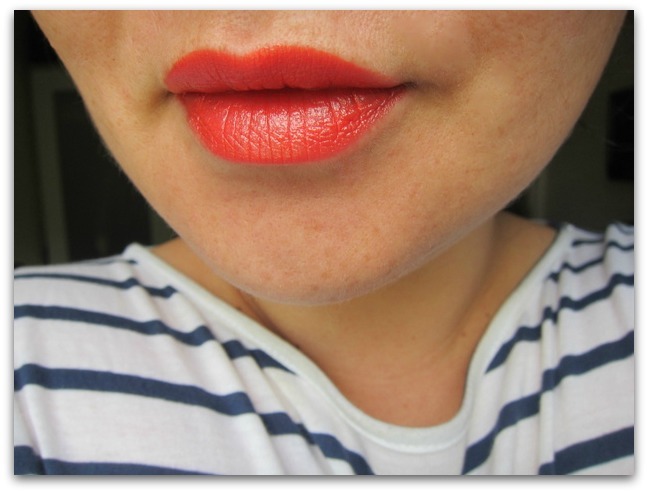 LOVE that lipstick Emma, it's beautiful on you and will look great on your hols! 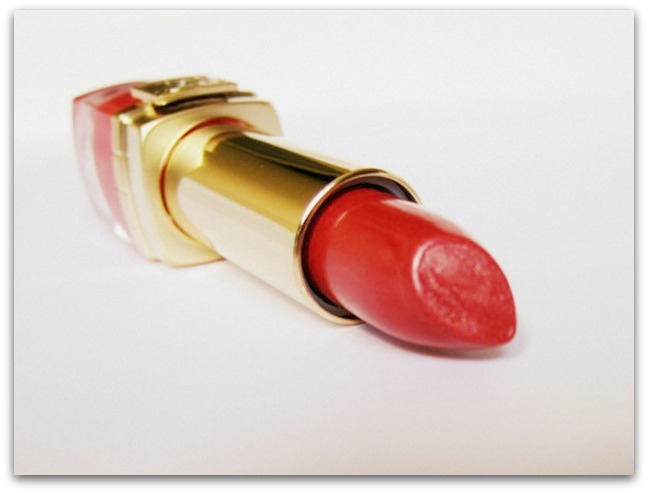 EL's lipsticks are my favourite high end ones. I can't wait to see the other shades! No ANR for me I'm afraid. Anything with hydraluronic acid in it drives my skin crazy i.e. itchy & red. Found out the hard way when I splurged on the ANR eye cream three years ago :( Emma, any chance you know of a good serum without hydraluronic acid in it? The make-up collection looks heavenly though, the red lipstick is such an unusual shade. I have been thinking about getting started on the anti-aging stuffs and this has been on my list for a while now! Also, I LOVE that lippie shade. It's gorgeous! 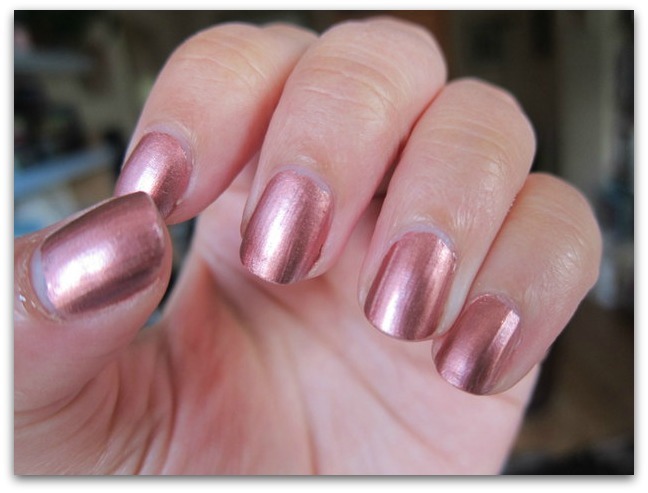 Thats such a pretty nail shade, heard such great things about the ANR, have to try it out soon! Thanks so much for your kind visit, wish you well for the rest of the week! I was a big fan of the original ANR, I too revert back to it time and time again. Cant wait to try the advanced version. The lippie is gorgeous on you. 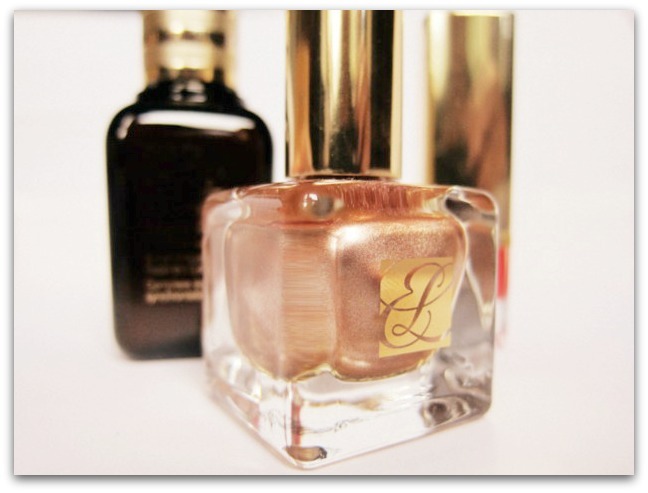 That nail polish is the loveliest metallic shade! They have great products! Emma, I love that lipstick shade on you. So pretty. I really want to try ANR! Very curious to see how the new ANR performs, might try next time. Not very tempted by the metallic nail polishes, they always show up horrible on my nails :(. The lipstick looks gorgeous but I'm not sure if that's down to the actual lipstick or just you having really enviable lips!